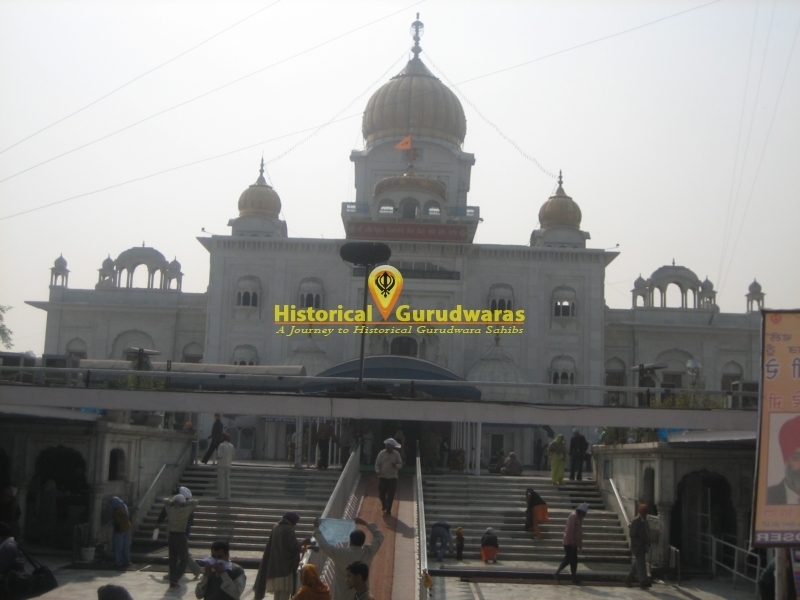 GURUDWARA SHRI BANGLA SAHIB is situated in the Delhi City. 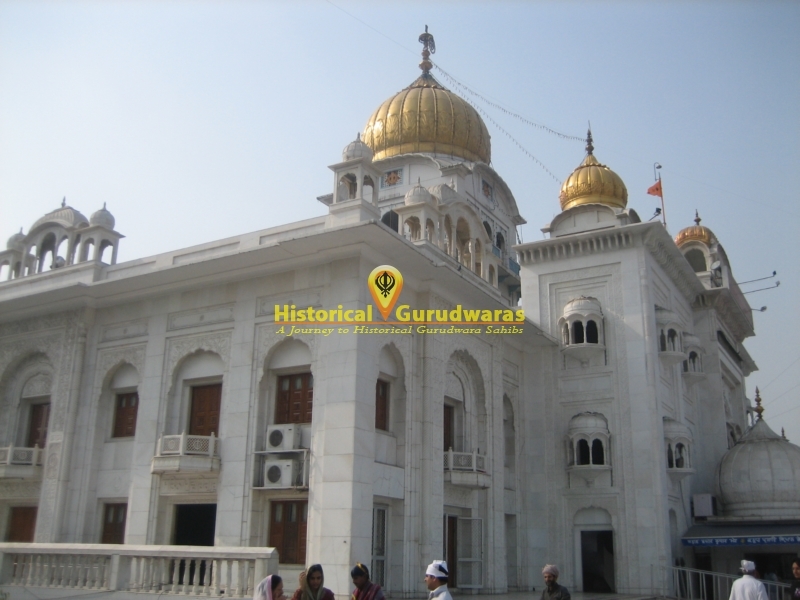 Built in the sacred visit of SHRI GURU HARKARISHAN JI to Delhi. 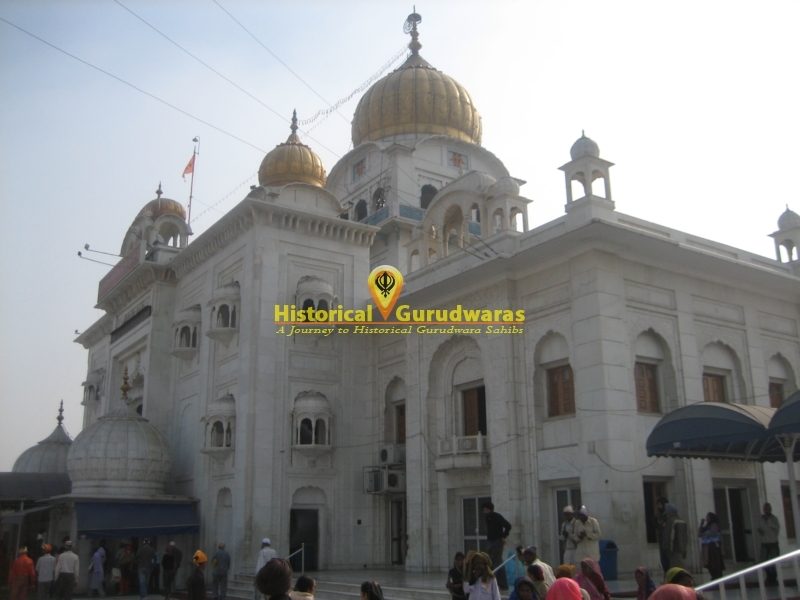 At the request of Mughal King Aurangzeb and through the persuasion of Mirza Raja Jai Singh of Amber, GURU SAHIB agreed to come to Delhi. 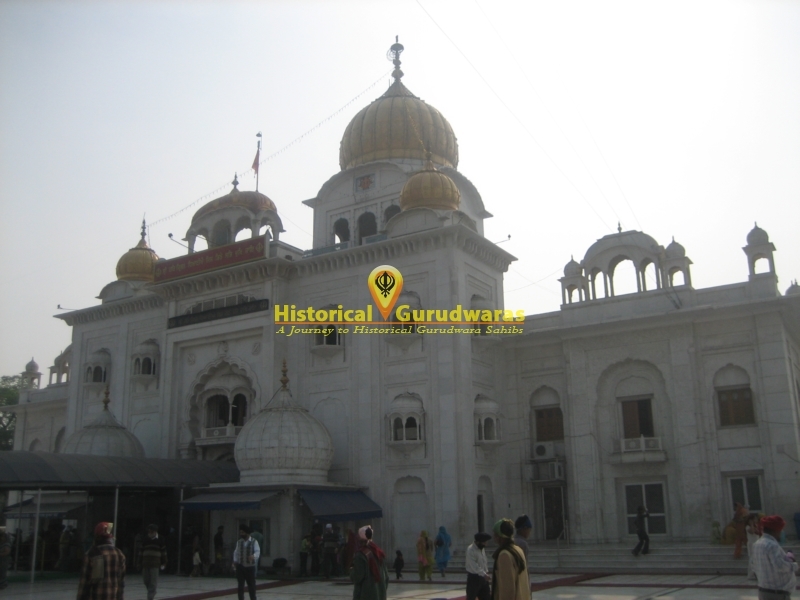 Raja Jai Singh invited GURU SAHIB to the present site which originally belonged to Raja Jai Singh. 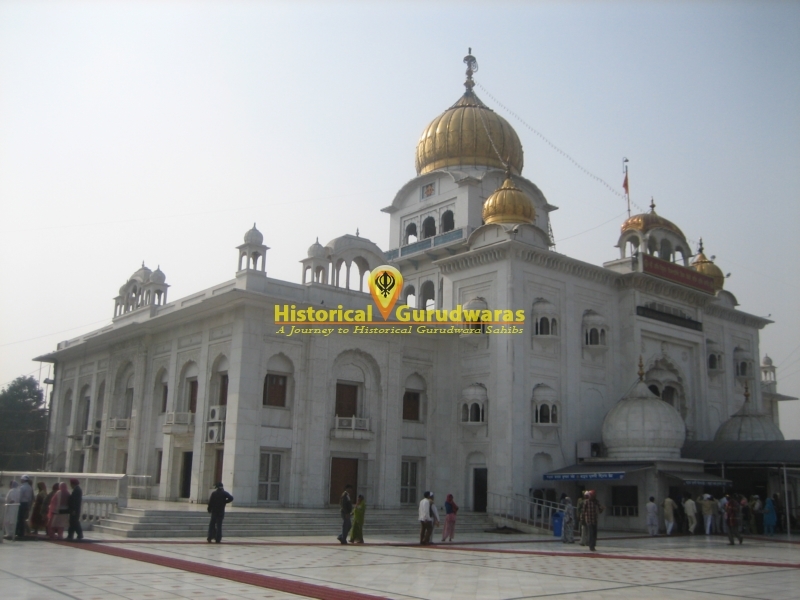 Raja's wife thought of testing the spiritual powers of the GURU SAHIB and disguised herself as maid servant and sat among the attendants. 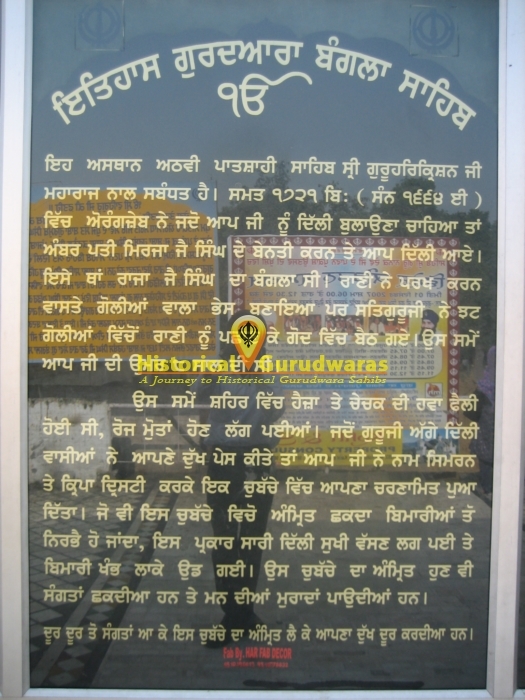 GURU SAHIB at the age of 8 years identified the RANI and sat in her lap. 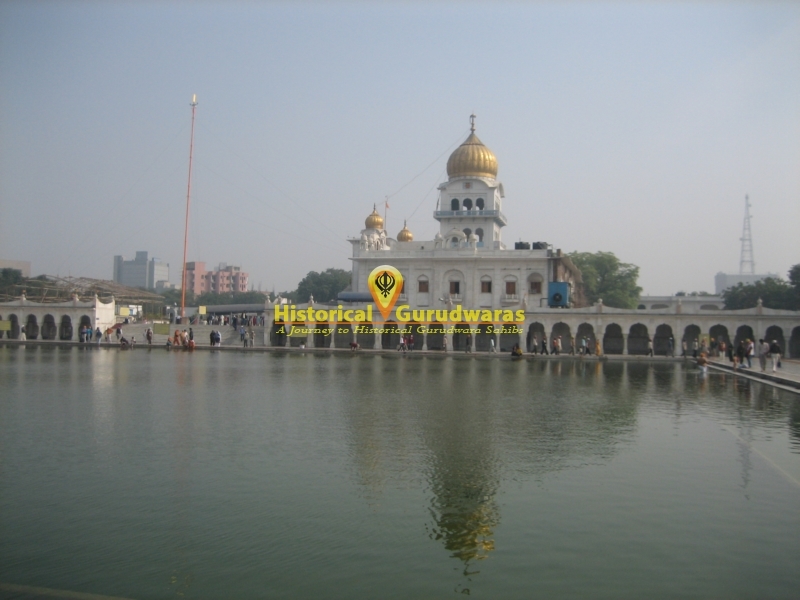 Thus convincing her of the the spiritual powers of GURU NANAK and his True Disciples. In those days small pox was raging in the city of Delhi on an epidemic form. The citizens of Delhi suffered grief and death As a result of calamity that had befallen there. 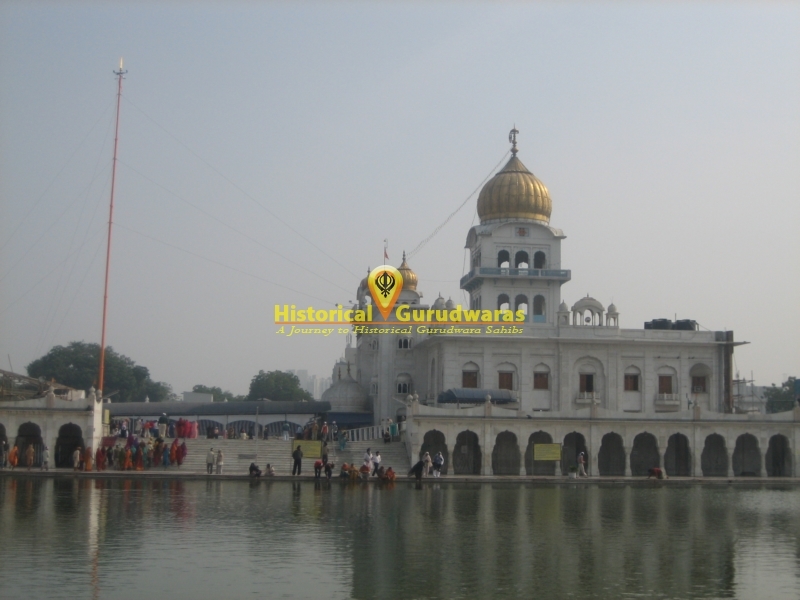 GURU SAHIB out of love and compassion for suffering humanity dipped his holy feet in water and poured charan amrit into small chaubacha (tank). All those who took water from chaubacha were cured from the disease. 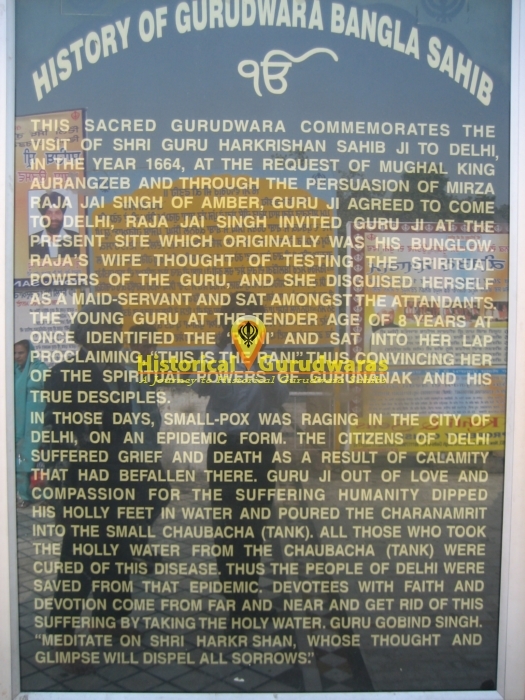 Thus the people of Delhi were saved from that epidemic. 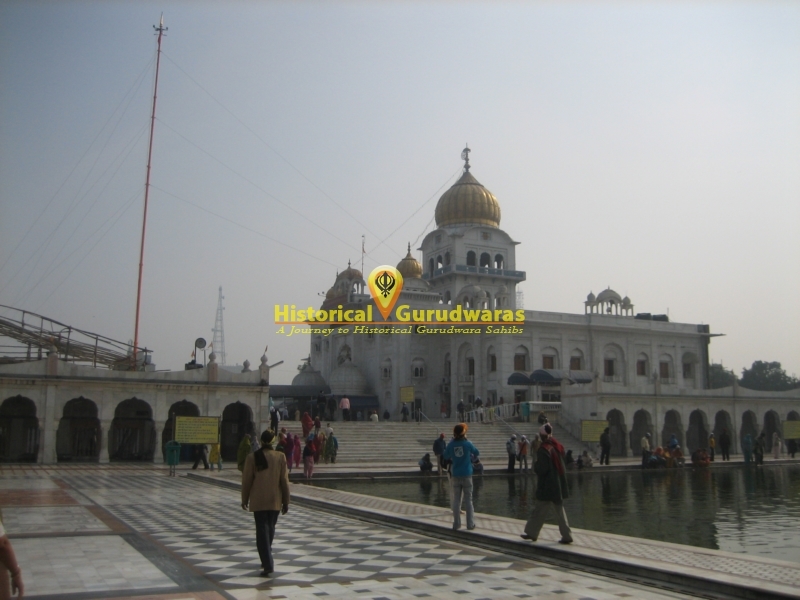 Devotees with faith and devotion come from far and near and get rid of suffering by taking a dip in the holy water.